The new semester brings with it a vast array of opportunities for people to enjoy the arts at William & Mary. For more events happening at William & Mary this semester, see the university's online calendar. - Ed. The Muscarelle Museum of Art will present In the Light of Caravaggio: Dutch and Flemish Paintings from Southeastern Museums. This exhibition will feature important Caravaggesque paintings from the renowned collections of the National Gallery of Art in Washington, North Carolina Museum of Art, Speed Art Museum, Bob Jones University Museum & Gallery and Chrysler Museum of Art as well as recent acquisitions to the Muscarelle’s collection. The exhibition will run Feb. 10 through May 13, 2018. As seen in 2014 at the Muscarelle, the Italian artist Michelangelo “Caravaggio” Merisi had an enormous influence on Baroque art with his dramatic use of light and emotive realism. Paintings by Rembrandt, ter Brugghen, Baburen, Honthorst, Janssens, Seghers and Rombouts exemplify Caravaggio’s influence on Dutch and Flemish painters of the seventeenth century. This rare gathering of masterworks, on view together for the first time in 20 years, provides a unique opportunity for Muscarelle visitors to see an embarrassment of riches from southeastern museums, according to a press release from the museum. Also opening Feb. 10, the Muscarelle will present Women With Vision: Masterworks from the Permanent Collection in conjunction with W&M’s 100 Years of Women celebration during the 2018-19 academic year. This exhibition will feature more than 30 works by prominent women artists in the permanent collection comprised of a variety of media styles and time periods. The selection includes works by historically important figures such as Marguerite Gérard, Julia Margaret Cameron, Rosa Bonheur and Mary Cassatt. 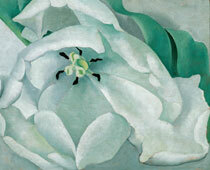 Among the numerous highlights is “White Flower,” a captivating close-up and large still life by Georgia O’Keeffe. “White Flower,” which was gifted to the university by Abby Aldrich Rockefeller in 1932, remains the most important modern painting in the Muscarelle permanent collection, according to the museum. The Muscarelle will host its Third Thursday Lecture Series starting Feb. 15. The museum also will host its Selected Topics in Architecture Lecture Series at 6 p.m. on Feb. 7, March 13, April 10 and May 8. The Department of Art and Art History’s Andrews Gallery will host Sojourn from Jan. 25 through Feb 20. It will feature numerous works in ceramics by Visiting Assistant Professor Mike Stumbras on the first floor of the free gallery, located in Andrews Hall. A reception, free and open to the public, will be held on Feb. 1 from 4 p.m. to 6 p.m.
Andrews will also host Communal Resurrection: The Art of Steve Prince March 1-30. A reception and artist talk in collaboration with W&M Associate Professor and Director of Dance Leah Glenn and her dance troupe will be held March 15 at 4:30 p.m. The exhibit of prints and woodcuts by Prince, an assistant professor of art at Wayne State University who was a visiting artist at W&M in the summer of 2017, chronicles the progression of black music from the fields to hip-hop. Mabel O. Wilson will be the Department of Art and Art History distinguished artist lecturer for the semester. She will lecture April 9 at 5:30 p.m. in Andrews Hall, room 101. Wilson is a professor of architecture, a co-director of Global Africa Lab and the associate director at the Institute for Research in African American Studies at Columbia University. She’s currently writing "Building Race and Nation," a book about how slavery influenced early American civic architecture. Traditional African, brass and chamber orchestra music will be featured as part of the Ewell Concert Series’ three offerings in the spring lineup. This concert is co-sponsored by the Williamsburg Regional Library Dewey Decibel Concert Series. The quintet will perform Feb. 19 at 7:30 p.m. at the Williamsburg Regional Library. Admission is $5 and free with a W&M ID. Amadou Kouyate, the 150th generation of the Kouyate family of Manding Diali, renowned oral historians and musicians of West Africa, will give a solo performance of music rooted in the West African griot tradition and its latter-day contemporary forms. Amadou performs on the 21-string Kora and also on Djembe and Koutiro drums. He will continue the Ewell series March 22 at 7:30 p.m. at Ewell Hall. Admission is free. Mind on Fire is a Baltimore-based chamber orchestra dedicated to performing the works of living composers of notated music. Conductor and co-founder James Young wrote: “At one level we are a flux ensemble capable of playing contemporary classical music with a high degree of virtuosity. At our foundational level, however, Mind on Fire is a nonprofit organization built to provide access to performing artists.” The group closes out the Ewell series with a free concert on April 7 at 7:30 p.m. at Ewell Hall. The W&M Music Department will hold various performances throughout the spring. The W&M Choir will perform its free pre-tour concert Feb. 25 at 8 p.m. at the Catholic Campus Ministry Chapel. The W&M Choir, Botetourt Chamber Singers and Women’s Chorus will perform a wide variety of works at their spring choral concert April 28 at 7:30 p.m. at Phi Beta Kappa Memorial Hall. General admission is $10 and cost is $3 for students and children; it is free for music faculty and staff. The W&M Symphony Orchestra will hold its winter concert March 1 at 7:30 p.m. and its spring concert on April 29 at 4 p.m., both at PBK Memorial Hall. Both events are $10 for general admission and free for students, children under 18 and veterans. The Botetourt Chamber Singers gala concert will take place at the Kimball Theatre Feb. 10 at 7 p.m. Tickets are $15 and support scholarship funding. The Botetourt singers will host their free spring concert April 8 at 2 p.m. in the Wren Building Great Hall. The W&M Wind Ensemble will hold its outdoor concert on April 14 at 5 p.m. at the Martha Wren Briggs Amphitheatre at Lake Matoaka featuring Prokofiev's "Peter and the Wolf" arranged by former Wind Ensemble Director Michael Williamson. Admission is free. The Wind Ensemble will perform its spring concert on April 28 at 2 p.m. at PBK Memorial Hall featuring Holst's "First Suite in E-Flat," Gershwin's "Rhapsody in Blue," and Bernstein's "Four Dances" from "West Side Story." Tickets are $10 for general admission and free for students. Additional events may be found on the music calendar. Two varied but fantastical plot lines will be represented in W&M Theatre’s two spring main stage productions. The semester signals the final run of performances at PBK Memorial Hall before it closes this summer for renovation, with the Kimball Theatre becoming a temporary home for the department's performances. In “Metamorphoses,” written by Mary Zimmerman, the classical tales of Ovid come to magical life in all their playful, passionate, savage and elemental glory in a visually fantastic world set in and around a pool of water, according to a press release from the box office. It will run Feb. 22-24 at 7:30 p.m. and Feb. 25 at 2 p.m. at PBK Memorial Hall. “Into the Woods,” with music and lyrics by Stephen Sondheim and based on the book by James Lapine, tells the story of a baker and his wife who wish to have a child, Cinderella who wishes to attend the King's Festival, and Jack who wishes his cow would give milk. The show will run April 19-21 at 7:30 p.m. and April 21-22 at 2 p.m. at PBK Memorial Hall. The show is a concert in which students explore and develop original choreography performed by their peers in the Orchesis Modern Dance Company, under the mentorship of W&M dance faculty. Performances are scheduled for March 22-24 at 7:30 p.m. and March 25 at 2 p.m. at PBK Memorial Hall. Tickets are available at the PBK Memorial Hall Box Office. A variety of speakers will be featured as part of the Patrick Hayes Writers Festival to include Charles Wright, Peter Bonerz, Tess Taylor and David Eye, and writers from a Richmond prison program. Wright will speak Feb. 15, Bonerz on March 15, Taylor and Eye on March 20 and the editor and two writers from the Richmond prison program on April 5. All events are at 5 p.m. at the Tucker Theatre and are free and open to the public. Wright, a former University of Virginia professor, has published numerous collections of poems and two volumes of criticism and was the 2014-15 United States Poet Laureate. He was awarded the National Book Award for Poetry for Country Music: Selected Early Poems and the Pulitzer Prize for Black Zodiac. 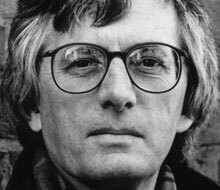 His many honors include the 2013 Bollingen Prize, the American Academy of Arts and Letters Award of Merit Medal, a National Endowment for the Arts fellowship and the Ruth Lilly Poetry Prize. He served as a chancellor of the Academy of American Poets from 1999 until 2002. Taylor is a nonfiction writer who is the author of Work & Days, which was named one of the best books of poetry of 2016 by The New York Times, and The Forage House. Her work has appeared in The Atlantic, Boston Review, Harvard Review and The Times Literary Supplement. Eye, a Virginia native, is a U.S. Army veteran and former actor who has taught writing at Manhattan College, Syracuse University, St. John’s University and Cazenovia College. He is the author of the 2017 poetry collection Seed, as well as the 2013 chapbook Rain Leaping Up When a Cab Goes Past. His poems and prose have appeared in a variety of journals and anthologies. Eye was the recipient of a 2017 Walter E. Dakin Fellowship in Poetry and a 2014 Tennessee Williams Scholarship in Poetry from the Sewanee Writers’ Conference. Editor David Coogan, an English faculty member at Virginia Commonwealth University, and two writers featured in the book Writing Our Way Out: Memoirs from Jail will read from it and talk about their experiences. The writers are former inmates who have served their prison time and now are working in Richmond. Coogan taught a writing class at the Richmond City Jail that grew into the publishing of this detailing of the memories of 10 men. 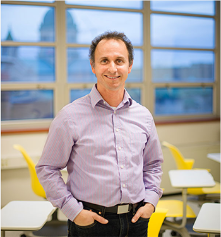 Coogan, an associate professor of English at VCU, teaches courses in writing and literature and is the founder and co-director of Open Minds, a program that enables college students to take courses in the arts and humanities with men and women incarcerated at the Richmond City Justice Center, formerly the Richmond City Jail.